One of the things that I have been wrestling with is where to set the game from the start. Picking a place to be the center of a Post Apocalyptic resurrection can maddening (like nuclear fall-out ghoulification maddening). I wanted something that was not a major metropolitan site (those are bad) and I had some ideas on how to incorporate locations into the game-master's local game. But I wanted to use a setting that was generic to most people across the nation. 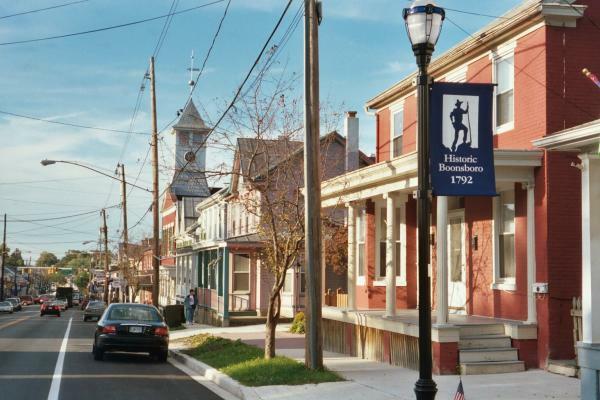 what is the most common name for a town in the us? And the answer turns out to be Greenville. There is a Greenville in every state except Hawaii and Washington. Springfield turned out to be in 29 of the states. So my game is going to be based out of a small town called Greenville. What state that lies in is totally up to you. I keep seeing this OSR logo on many sites across the internet. Being the curious bloke that I am, I filed it in the back of my mind of things to read more on. Well, I made some time to research what this is really about. Many of you may know that OSR stands for 'Old School Revival'; it is a quasi-movement to return the gaming style of the golden days of RPGs, which is apparently from 1977-1884. This is also a floating date value depending on who you ask. It appears that this amorphous effort was created due to dissension among the grognards at the new rule set (at the time it was 3rd edition) coupled by the fact that D&D gave these grognards the means to re-create the rule set of older editions, the Open Gaming License (OGL) and the System Reference Document (SRD). So now we have a plethora of OD&D knock-offs. Now mind you, the ones that I found are free, so it is great credit to their creators. Unfortunately, I do not think it is for me. I liked 3rd edition and did not look for these references for the old D&D style. I believe that gaming with these systems will fall short of the original games I had back in my younger days. Why? One of the main reasons is that I am older now. I have been desensitized by my time on this planet and do not hold the world in wonder as I once did. A mad grasp at my childhood gaming would probably be an exercise in futility. Not that I would not be willing to try to game a little game with thee, but I just think old school gaming is not any better than any other gaming. As I always say, the best GM can make any game fun, and I have found the most fun is with games where we discover the rules. So what's my point? Why rehash a bunch of information that others have already explained more thoughtfully and thoroughly than I have? Well, I discovered one small tidbit of information that I had not realized in the past. Some of you may have read my post on immersion versus mechanization called I Search the Dungeon for Anything. In it, I lamented how players interacted more with the world than in newer editions of the game, which seemed more to be a generalized attempt and allowing the rules to dictate the outcome of the actions. Looking at the revival rules it hit me... They don't have skills. This had been one of the driving points of character immersion. Players did not have a mechanic to gauge their own success at a given task; they were required to interact with their surroundings to determine if they would be successful at something. Watching the 'Walking Dead' yesterday got me thinking of a post-apocalyptic fantasy game where the living has become hordes of undead minions, the power of the faithful is waning, and those that believe in good are making one last stab at the heart of darkness that has spread across the land. I think the idea would work in almost any fantasy related game; Shadowrun, for one, could be used to base this horrific reality. 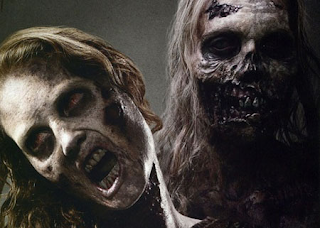 Using sources like 'All Flesh Must Be Eaten' or Dungeons & Dragons' 'Elder Evils' could provide some nice insight into running your own zombie game. I imagine that the start would be some plague/pox/sickness that spreads through the land as a pandemic, slowly changed the serene landscape into an overwhelming horde of macabre neophytes. Just exactly how to stop this could be the quest of long running campaign. Perhaps the ultimate goal is a very alive typhoid mary that must be purged by the Ankh of Ra. I rarely go out and watch movies on opening week-end, but one of my all time favorite movies is "John Carpenter's The Thing". When I heard that they were making a prequel to the movie, I was very excited. I was ecstatic that Marc Abraham and Eric Newman chose to do a prequel instead of a remake because the original movie was too good of a classic to ruin. I went with a like minded friend who felt the same way about the original and was surprised to find similar opinions of the movie. While the movie was not as 'scary' as the original, I found many of the scenes very tense and, even though some of the surprises were cliche, they still startled me. Of our opinion, we found that many of the scenes were copied from the original movie, from the creature's initial escape, to the the burning of one of the camp members that was slowly being absorbed after a big fight. While it still works for the movie, it was a little disappointing to those who have seen the original. We agreed that that the movie falling to 'the blood test' would have ruined any originality the story might had brought to the table, but we were pleasantly surprised when they presented a different way to determine who may have been the alien. One thing that struck me as odd, was a particular scene when the lead character confronted the alien in human guise, knowing full well it was an alien before turning the torch on it. I do not know why, knowing it was the alien, she would not have tried to talk to an obviously advanced species. That is of course, other than the fact that it may ruin the plot of the second movie. I would like to say the special effects were exceptional, and I will admit that that the special effects were coequality for what I have seen in the movies these days. But, the original movie's effects entranced me to the point of believability. The original movie was done so well in my opinion, that watching it nigh thirty years later has not lessened the movie the way others that have not withstood the test of time. One of my particular favorite parts of the new movie was the arm-centipedes. Where the arms came of one of the 'infected', sprouted legs, and attacked the Norwegian carrying the man. Here is a shot of him fighting it off. I found the movie quite enjoyable and would recommend any Sci-fi/Horror fan to go see it. I think the creator's attention to detail and respect for the original, outweigh any misgivings to fans of the original. The 'only' thing left to ask, is the rare cut scene of the sled dog running away from the human camp at the end of the first movie. This scene was only on some of the released for TV versions of the movie and I have found that I am one of the few people I know that have seen it. This leads to an interesting 'Will they do a Sequel?' question. Read 'Who Goes There?" by John W. Campbell, Jr.
Watch the new 'The Thing' in theatres. Watch the original 'The Thing' from Netflicks. 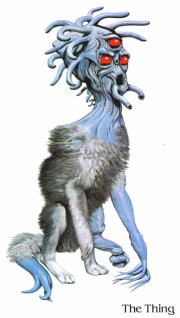 Note: The pic of the thing is from Barlowe's Guide to Extraterrestrials as discribed in the original Novella, of which you will not see in either movie. Obsidian Portal recently had an interview with one of my favorite authors, R. A. Salvatore. I normally don't listen to interviews, but I decided to check it out on a whim. 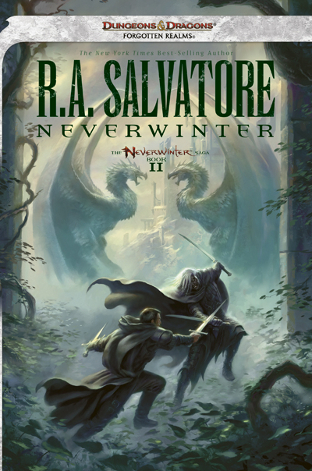 The interview was about Salvatore's Neverwinter books and the game of the same name. I must admit, I have fallen out of the Drizzt series, so I have no plans on picking up the book. It was interesting to hear Salvatore's Boston accent, and the interchange more informative than I would have guessed. One of the items I found interesting was his explanation of trying to write a fight scene based in 4th editon, in a word "brutal". Salvatore states that it was a challenge for him to write a scene that followed the 4th edition rule set. 4th edition has so much 'crunch' and focuses more on effect that on action. I have always enjoyed the freedom of action in a role-playing game. My characters tend to have a lot of panache and I prefer to to have a GM make an arbitrary call on my character's action. As a friend once commented, I like to play my characters like an action star of a John Woo film. I like my games to allow me to do so. As always, your travels may vary, take what you like and leave the rest for the next traveller.